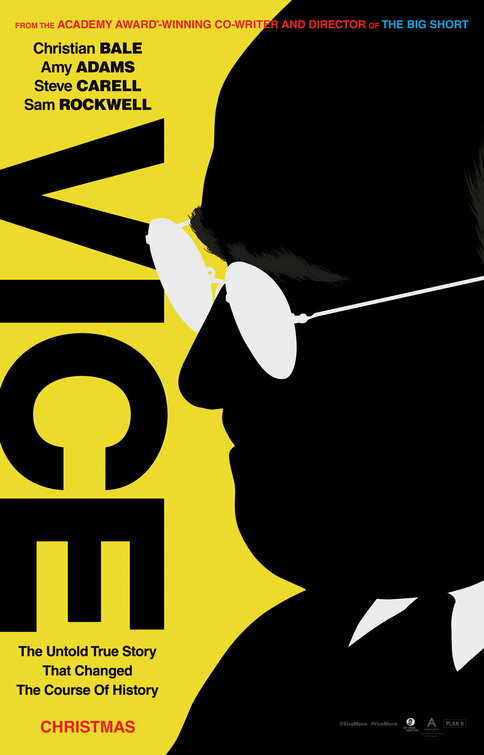 Zodiac, Seven and The Social Network director David Fincher brings to cinematic life the Gillian Flynn novel Gone Girl in an intoxicating style with superb performances by Ben Affleck (Argo, Hollywoodland) and Rosamund Pike (Jack Reacher, Pride and Prejudice) as Nick and Amy Dunne. As the town of North Carthage gathers around to search for the elusive Amy, Fincher in a series of flashbacks gives a deceptive back story to the Dunne’s marriage, an American relationship come undone by the effects of the 2008 financial recession. As the couple leave their hip lifestyles in New York and move back to the Mid-West, it is revealed that Amy was the source of a series of children’s books Amazing Amy which her parents profited hugely off, making her the enviable product of a million dollar trust fund. Amy Dunne is beautiful, gorgeous and has a range of creepy admirers. Being an only child, and now a missing woman, Amy is an enigma and her husband Nick Dunne, the suave charming fortyish hunk naturally becomes the main suspect. 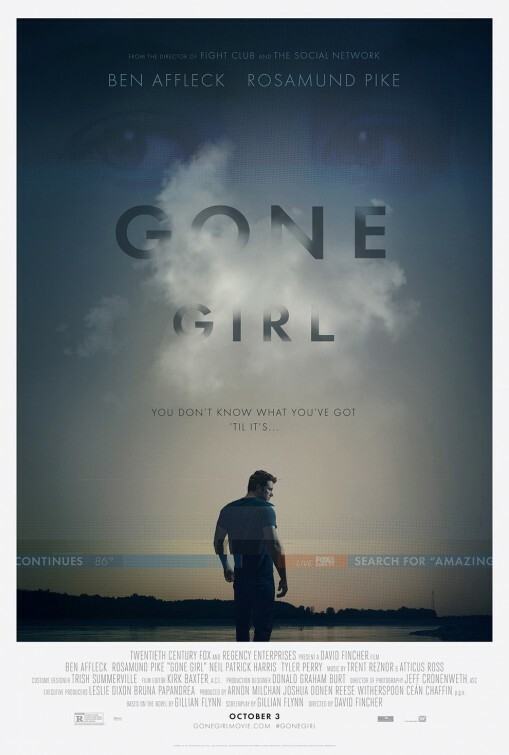 Gone Girl in the tradition of The Jagged Edge is a manipulative and expertly directed thriller with Fincher extracting the most he can from his two leading performers, whilst simultaneously commenting on the current invasive trend of intense media scrutiny which defines American culture, made worse by reality TV, the internet and the cult of celebrity. This form of media scrutiny has permeated all aspects of American culture and indeed influenced the contemporary world. Just analyze the media circus surrounding the current trials of Oscar Pistorius and Shrien Dewani in South Africa as an example. Gone Girl is as much an indictment of the current state of news media, as a stylish and slightly comical look at a disappearance which begs more questions than answers, a story of a couple whose lives are torn apart by the media due to an event which is as deceptive as it is real. 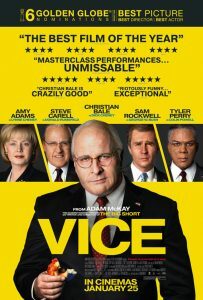 Fincher assembles an eclectic supporting cast including comedian Tyler Perry as Tanner Bolt a notorious defence attorney, Sela Ward as an investigative talk show host Sharon Schieber along with Kim Dickens as a small town detective Rhonda Baney who is trying to make a break in an extremely puzzling case. Then there is also Neil Patrick Harris as Desi Collings a suitably creepy school friend of Amy’s. What makes Gone Girl so utterly superb is the extraordinary talents of Rosamund Pike, who really sinks her teeth into the complex role of Amy Dunne. That’s another of Fincher’s directorial gifts, he always gets the lead actress to deliver exceptional performances like what Rooney Mara did in the Oscar Nominated Swedish thriller The Girl With the Dragon Tattoo. This is by far Rosamund Pike’s best screen performance and will certainly elevate her onto the A-List of Hollywood actresses. She sizzles in this role and along with a duplicitous performance by Ben Affleck, who both make Gone Girl a truly superior adult thriller, whose narrative tension and plot twists rests solely on the acting of these two brilliant stars. Gone Girl is must see viewing, a provocative thriller, a deconstruction of a marriage, an indictment of the ever widening dichotomy between truth and fabrication. Highly recommended.